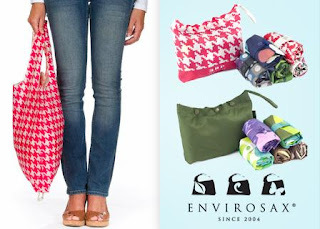 Head over to Tippr to score 5 Envirosax reusable bags for $24 with free shipping. If you create a new Tippr account, you get a $5 credit, making this deal only $19! Each Envirosax is made from a water-resistant and fade-resistant nylon material that has been tested for strength and safety. You can carry up to 44 pounds of groceries and other items in just one Envirosax. When you're done, roll it up and stash it in the handy travel pouch or tuck it into your purse or pocket.